A number of years ago I came across a magazine that would have become my new favourite (when Victoria stop publishing), except it was hard to find here in Canada. The first time I spied a copy on the magazine stand, I knew I'd found a new treasure...and pleasure. 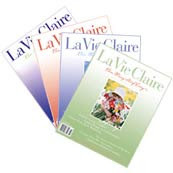 La Vie Claire--a magazine created by Claire Murray was all about the art of living a creative life. Just my cup of tea, I thought, and looked forward to more. The pages were filled with stories of women who were following their dreams and bringing beauty to their lives, as well as dozens of the most delightful full-page photographs of scenes and displays that would make any woman's heart sigh and set to dreaming. Then the sad day came when I heard that they were no long publishing. Waaaaa. Consolation was that they were offering back issues. I tucked that bit of info at the back of my mind -- because I had an immediate desire to add those issues to my teeny 'collection of three' as these were just too beautiful to disappear from my life forever. That was a while ago. Then other day I brought out my collection of three -- all spring/summer issues, but I wanted to catch their summery glimpses too. Ah, let's go online and see if they still offer back issues. They did! To my great delight, they were offering the complete set for half price. Why bother with just a few copies when you can get them all for such a deal, said I. Without thinking about it -- just followed the longing of my heart -- I clicked on the link, typed in my credit card number and hit Submit. 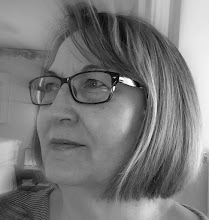 No looking back, no second thoughts (although my mind did wonder about this too-flighty creature). Yesterday I popped back to the site to get a cover sample to display in this post, and I noted that the sale price was gone. Back to regular price. Oh my...my heart lurched... talk about perfect timing. A couple of days later and I would have missed the opportunity. With that in mind, wouldn't it be just too lovely to invite you to come and spend an afternoon with me? For that box of magazines has arrived. 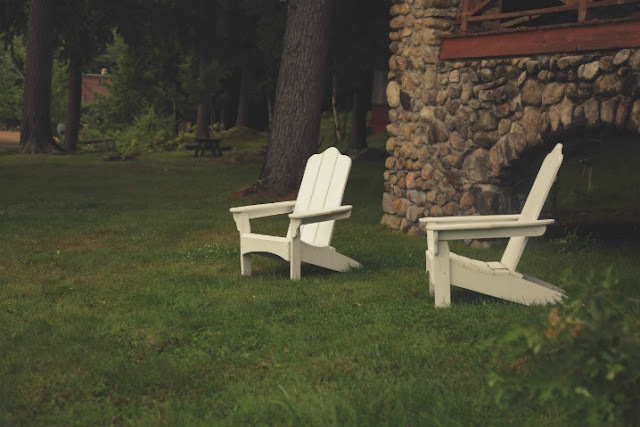 We'd sit in the garden, set that box of magazines between our comfy lounge chairs, arrange our tea things around us, and then spend a peaceful afternoon. Heads bent over colourful photos and interesting displays, each content in her own little retreat and musings, sipping tea, and commenting only when something needed saying. There might be some genteel squealing as we exclaim, Would you look at this beauty! Why does that make me sigh? Because, in truth, I'd love to share an afternoon like that with you. Sometimes our hearts long for things our rational minds cannot fathom. Our hearts are not nourished the way our minds are. 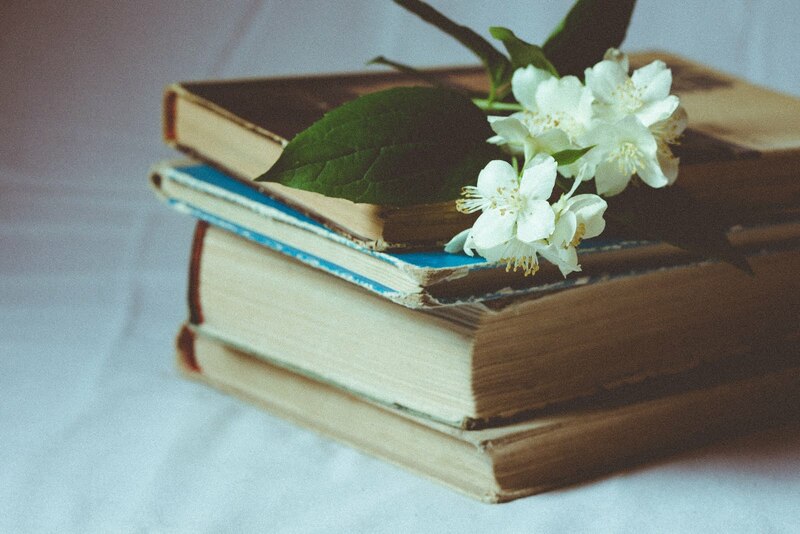 We need beauty and creativity and times to spend with kindred hearts -- to retreat and just be -- and I found that when I read Miss Claire's beautiful magazine. Fun to dream, isn't it? Enjoy yours when they arrive! How delightful! I had one issue of La Vie Claire. I cut it apart just last year and have enjoyed framing some of the photos and using others in artwork. Anticipating such a parcel is fun, fun, fun! sounds fun IF you lived closer...lol! Really? All the way from Maine? Claire lives here? How is it that I've not heard this news until now. I tell ya! Enjoy, enjoy, enjoy. I think you are so right. Our hearts do not always have the nourishment they need. Our minds are well fed; our bodies, too, but not the heart. 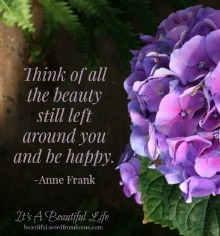 Thank you for another beautiful post! Rats... I didn't pay attention... don't really know from where the magazines are being shipped... I know Claire has lived in Nantucket and her shops are located throughout New England and other East Coast regions, including Maine. So I assumed they will be sent from somewhere on your East Coast. It's still a long, long way from there to Alberta, Canada. I haven't seen this magazine...but an afternoon in the garden sounds lovely!